Almost half of a newspaper is made up of ads. Local papers have ads of local companies, but nationwide newspapers also advertise products that are sold all over the country. Most papers are published daily so new ads , like products on sale or movie openings can be placed every day. Newspapers sell advertising space in all sections of their paper. In most cases ads of products will be put in the section they are related to. Display ads are big ads that can take up from a few cm to a full page . They have illustrations, headlines and lots of information on a certain field. Classified ads appear in a separate section of a newspaper . Most of them only have a few lines and list homes, cars for sale, furniture or other things that private people want to sell or buy. 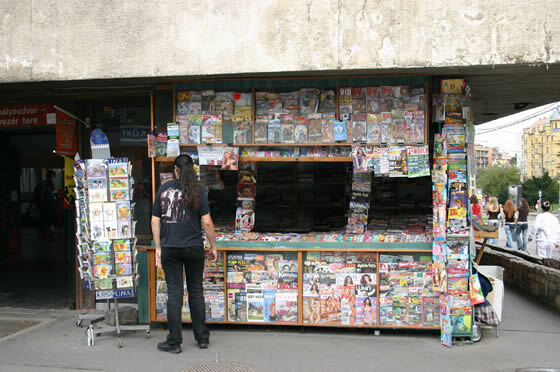 Magazines mostly appear all over the country and are used by national advertisers. In contrast to newspapers they are read when people have more time. They are kept for a few weeks or even months. Better printing quality and colour ads are among the advantages of magazines. Many special magazines are made for groups of people. The ads that appear there are especially for these groups. A computer magazine, for instance , may have many ads related to computers, printers or scanners. Direct mail consists of leaflets, brochures , catalogs or letters, that are mailed directly to people. Mail-order companies profit from this kind of advertising. Some mailing lists send information to all the people others only have special lists according to the jobs that people have or their age or income. Direct mail costs a lot of money, but advertising companies can be sure that they will reach the people. 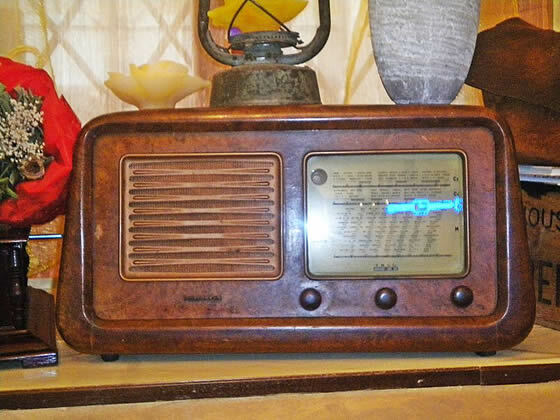 Local advertisers place about 70 per cent of advertising on the radio. An advantage of radio is that people listen to programs while doing other things. In some cases radios are on the whole day. Commercials last about 30 seconds. Radio stations are more specialized in what they broadcast. One radio station offers pop music and has a younger listening audience; the other may broadcast classical music with older listeners. The ads can be chosen according to the group of people who listen. Large colourful outdoor signs can easily catch the attention of by-passers. But these ads must be short and simple because viewers see them only for a few seconds. The main signs are posters, billboards and electronic displays. Billboards are owned by local companies that rent them to advertisers. Sometimes ads are painted on buildings. 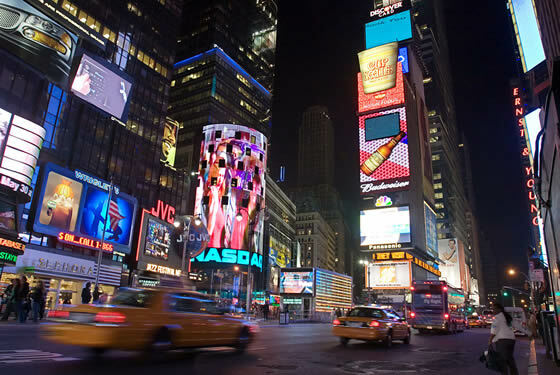 Electronic billboards have large displays where ads change very quickly. They are the most expensive kind of outdoor signs. Television combines sound and moving images. It is one of the most expensive forms of advertising, but on the other hand it reaches a very wide audience. Advertisers buy time from TV stations to broadcast their commercials. This time is cheaper at times when fewer people watch TV, as in the early morning hours and gets very expensive during prime time evening shows. Sometimes advertisers pay a lot of money to get their ads on TV during special programmes, like the Olympic Games or the Super Bowl. Infomercials have become very popular in the last few years. They are normal TV shows that focus on the sales of certain products. Details on how to buy the product (telephone numbers etc..) are repeated many times during the programme. Some TV stations also sell advertisers product placements. For example a brand of pizza can a car can appear in a scene of a TV show. Internet advertising is becoming more and more important. Especially young people spend less time watching TV and more time on the Internet. The Internet has the advantage of being available to people around the world at all times. Ads range from banners to pop-ups. Companies that spend a lot of money on advertising often create their own Internet site for a certain product. Web users are often asked to fill out a form that asks them about their daily routines, where they live, how old they are, how much they earn etc.. Companies use this information to find out what kind of people visit their websites. Sometimes ads are sent via email. Because a lot of unwanted emails (spam) are sent throughout the world many people don’t like this. Transit signs are small posters placed on trains or buses. Window displays are designed to draw a customer into a store. They highlight certain products and encourage the customer to come into the shop. Some stores have their own department in charge of shop windows. electronic media = information that is offered to the public through TV, the radio , Internet etc..
print media = information that is printed and given to the people , like magazines, newspapers etc..
range = to go from … to ….